Come and pour memories with us. Step inside Wax Poetic Candle Bar to create your own custom blend candle. Recreate a favorite memory, or mix up something that suits your mood and the season. Did you know that your fifth sense, smell, is strongly attached to memories and emotions? Whether it is conscious or subconscious we attach many of life’s moments to the way our surroundings smell. 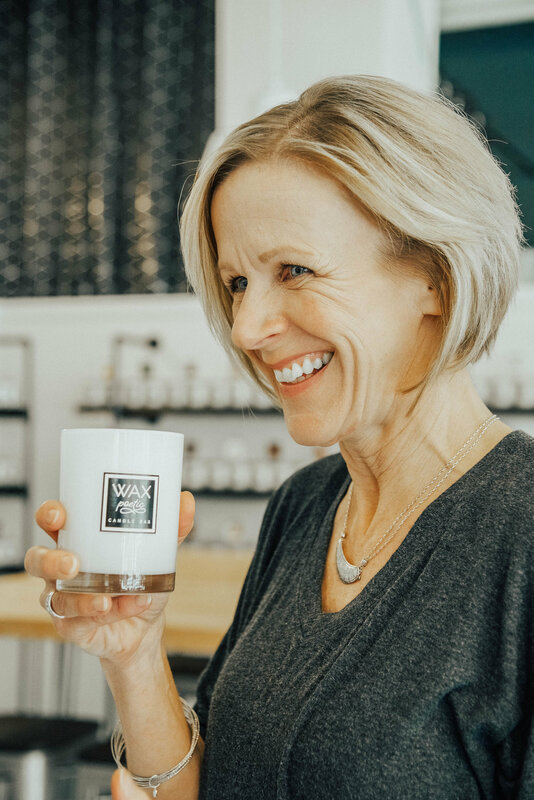 At Wax Poetic Candle Bar we offer you the chance to create the perfect scent that will evoke your fondest memories or help you create new ones. At Wax Poetic Candle Bar we have well over 100 clean burning fragrance oils available for you to choose from and blend together to create your custom, unique to you hand-poured candle. Our candles are made with soy wax, organic cotton wicks, and clean burning fragrances. A Wax Poetic candle is perfect for yourself, a friend, a loved one, or your office. Your memories of a Michigan summer or cozying up to the fireplace during a Michigan winter are completely different from ours, but that is the beauty of this whole experience. You may love seabreeze and vanilla bean, and we may love campfire and peppercorn, but every fragrance blend is as unique as you. Our staff is trained to help you combine fragrances and create your own perfectly blended scent. Not everyone comes in wanting a candle. At Wax Poetic we also have reed diffusers, room sprays, lotions and sugar scrubs that can be scented with your custom fragrance blend as well.